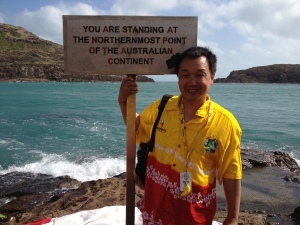 This week we are delighted to welcome Dr Henry Woo (@drhwoo), doctor and surgeon form the University of Sydney, to Real Scientists. Dr Woo is our second clinician to feature on Real Scientists, and is a specialist in urological surgery, and more specifically, prostate surgery. Prostate cancer is the second most common cancer found in men. So, this is a week to discuss prostate cancer, and we welcome Dr Woo and his willingness to talk to us about it. It’s going to be an incredibly informative and exciting week on Real Scientists! I always wanted to do clinical medicine. With such a field, it is difficult to escape science as you are totally immersed in it as a medical student and as a doctor. As a surgical trainee, I was exposed to clinical research and have been in this space ever since. Why did you choose your current field and what keeps you there? Sometimes I wonder where I chose surgery or whether it chose me. As a surgeon, it enables me to do something with my hands to make a positive difference to people’s lives. It is a huge privilege to have people entrust themeselves to your care. I have a multifaceted work life. 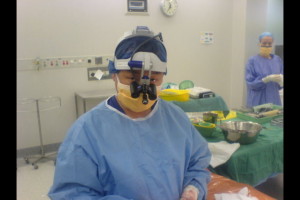 Within surgery, I am a specialist urological surgeon. Within urology, I am further subspecialised in prostate surgery. On a daily basis I have direct patient contact. In addition to seeing patients in consultation, I perform operations. 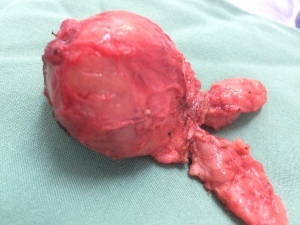 The two types of surgery that I most commonly perform are robotic assisted radical prostatectomy and photoselective vaporisation of the prostate (green light laser prostatectomy). The third aspect of my work is teaching. I am actively involved with the teaching of medical students with both bedside teaching tutorials as well as lectures. Teaching extends to professional colleagues. For example, I am the course director of a laser prostate surgery course held at the American Urological Association Annual Meeting and also participate in live surgery teaching workshops both locally and abroad. Motivation: why should the lay public care about your work? Everybody knows of somebody who has had prostate problems. Prostate cancer is a highly prevalent cancer and is second largest cause of cancer related mortality in men. People are often surprised to hear that more men die from prostate cancer than the number of women who die from breast cancer in any given year. The problem with prostate cancer is that the majority of those diagnosed with the disease die from other causes and for many it will never be clinically relevant. It is therefore important that we develop strategies to prevent the over-diagnosis and over-treatment as well as improved strategies to tackle disease that is life threatening. Lower urinary tract symptoms in men are highly prevalent and have a major negative impact on quality of life. With the ageing population, the majority of men will develop such symptoms and there is much that we can do improve the lives of these men. Over the last 10 years we have seen the development of effective and less morbid treatments which help deal with the concerns that would make a man less inclined to seek treatment. I am regularly asked to teach surgical procedures to colleagues both locally and internationally. 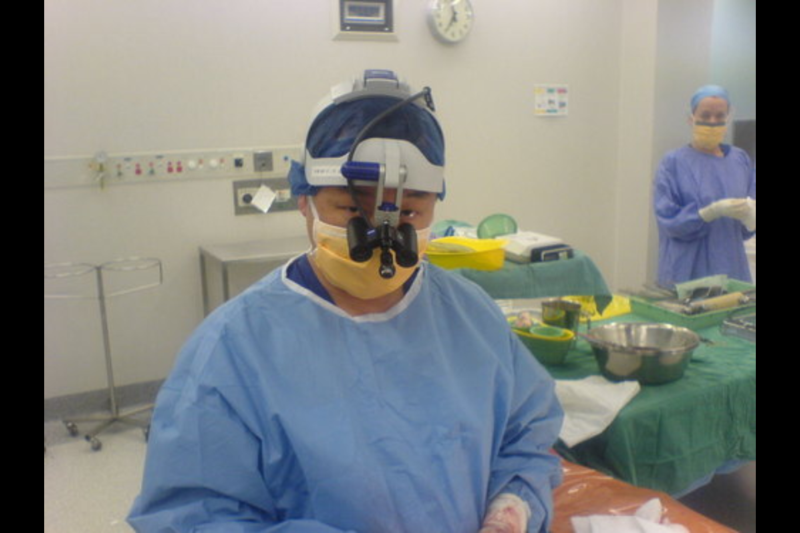 This may be in the form of one on one teaching or to small groups or live surgery demonstrations to large conferences. I am interested in academic publishing and sit on the editorial boards of the journals Prostate Cancer Prostatic Diseases, World Journal of Men’s Health and Prostate International. These are all PubMed indexed journals. My most significant role is Editor in Chief of BJUI Knowledge which is an innovative on line CME platform for the prestigious publisher BJU International which is an educational charitable company based in London, UK. This platform will launch this year. My passion in clincial trials sees a good fit with my position as a Board Director of the Australian and New Zealand Urogenital and Prostate (ANZUP) Cancer Trials Group. I am also a Board Director of the Australian Urological Foundation. I like retro things. I have moderate sized vinyl record collection. I have two many turntables and a couple of 45rpm jukeboxes. Also have some old cameras including a Nikon F2AS, Olympus OM1 and Polaroid SX70. If I had the space, I would like a few more jukeboxes as well as some pinball machines. Not sure if you would call it a hobby but I make an effort with fitness – I have a personal trainer twice a week and attend spin(cycle) classes at least twice a week. This is something that would change from month to month but right now, it would be in the first class cabin on an A380. No wifi so as not to be tempted to check out Facebook or Twitter or emails. Please welcome Dr Woo to Real Scientists!